Let CBIZ help you connect! Networking by definition is the exchange of information or services among individuals or groups for employment or business. 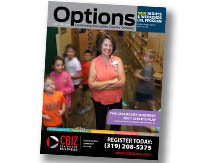 CBIZ can help make the connection with active groups in our area.